Find support and community as you navigate the epic journey of parenthood. 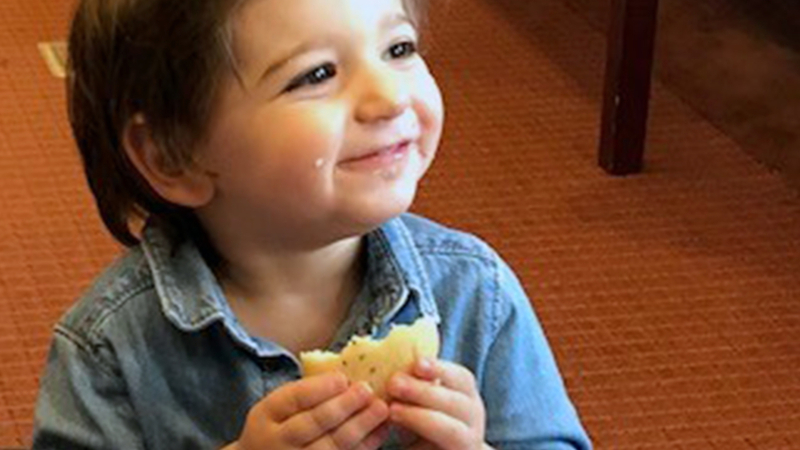 Parenthood can be both joyous and challenging. 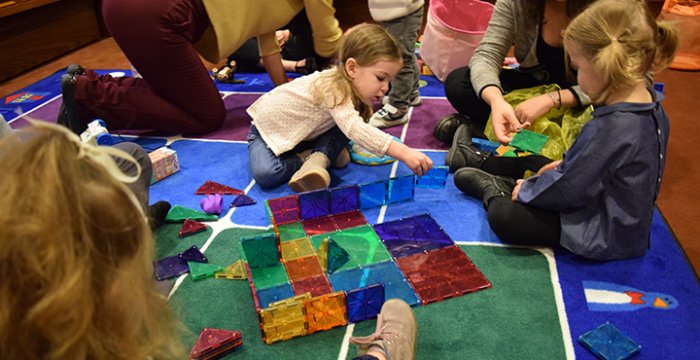 Our parenting groups and classes led by child psychologist Dr. Juliet Cooper provide a safe discussion space for you to connect with other parents and offer your children a rich experience as they engage in guided developmental play. 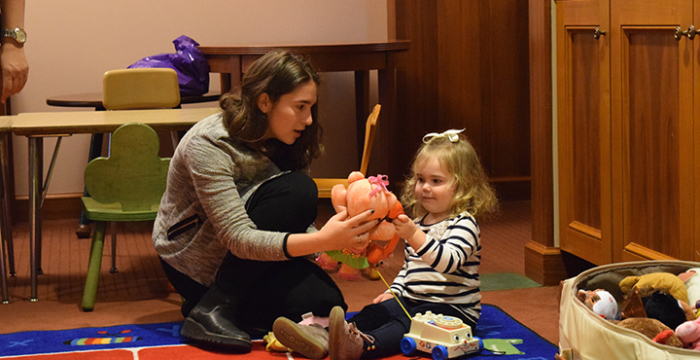 Our parenting staff works together to create fun, informative and Judaism-focused programming for the many young families at Emanu-El. Information on all of our Parenting programs can be found below. More information is available on each group’s registration page. A supportive, caring group for new parents and children 6 to 12 months old. An additional New Parents group for children 3 to 12 months old. 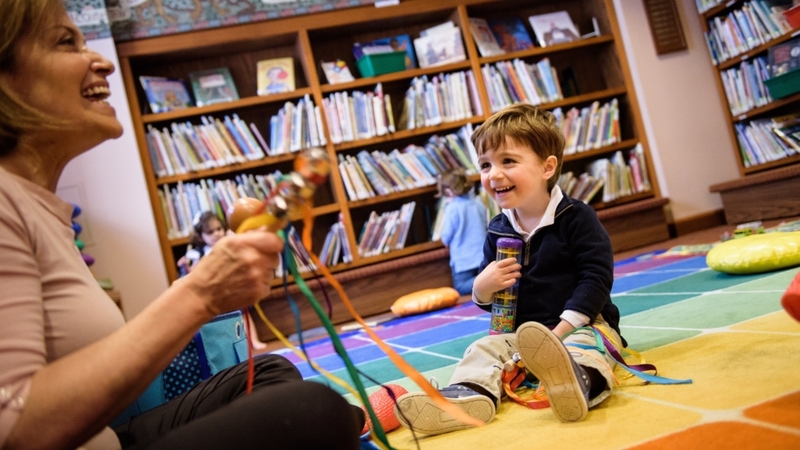 The Twos Group offers distinctive learning opportunities for both parents and children 24 to 30 months old. This group will include parents who have recently had a second or third child (babies from 2 to 10 months). Explore with children 18 to 23 months old and share helpful parenting skills with others in our community. Our original Toddlers Group has expanded into a second session for children 12 to 18 months old.